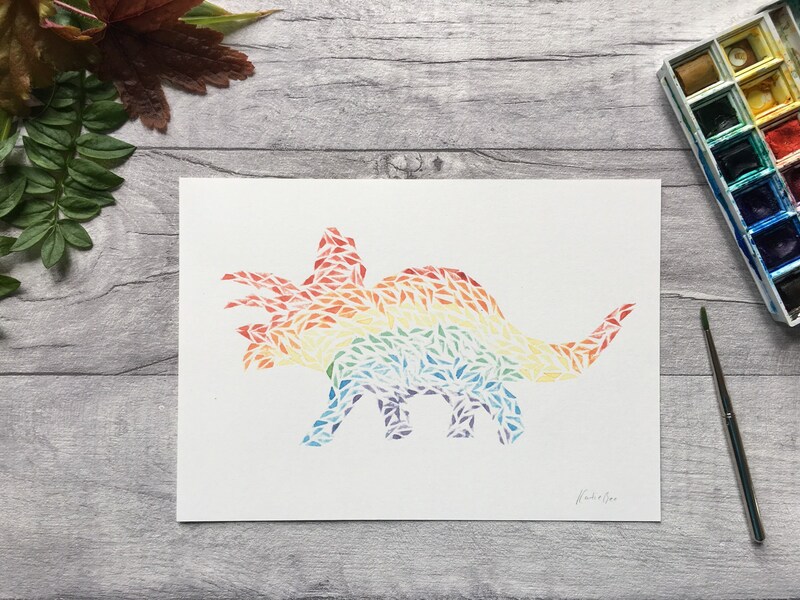 Good day to you, rainbow triceratops! I use hand cut stamps and watercolour paint to print each individual triangle. 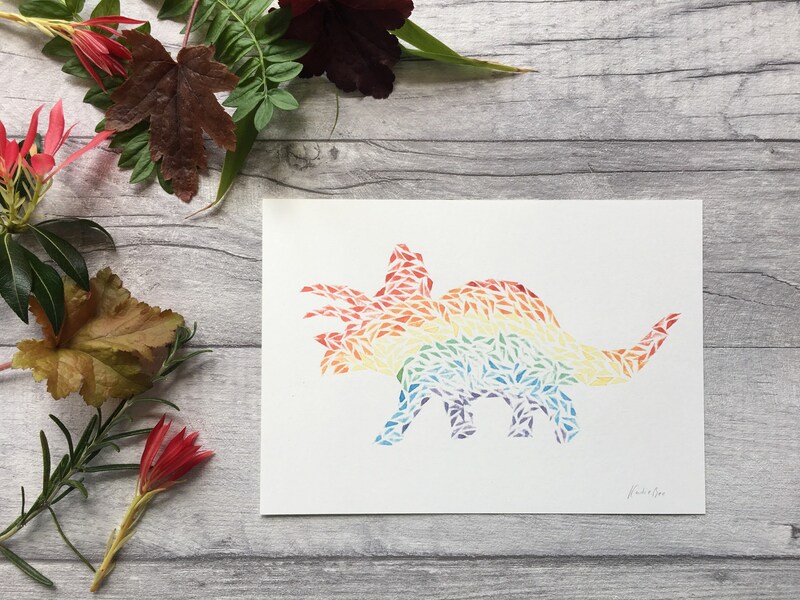 Each little triangle comes together beautifully to create this awesome, colourful dinosaur! This is a signed print of my original artwork. The dinosaur is printed on acid free, PEFC certified, 250gsm paper. It is currently available in two sizes. 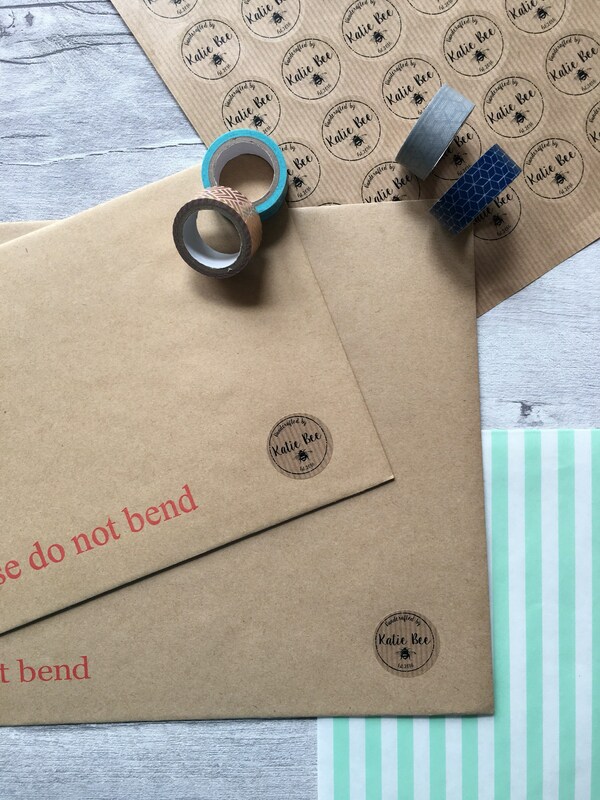 Each print comes packaged carefully with a hard back and sealed in a cellophane packet. It then travels in a board back envelope to keep it safe on its way to you. 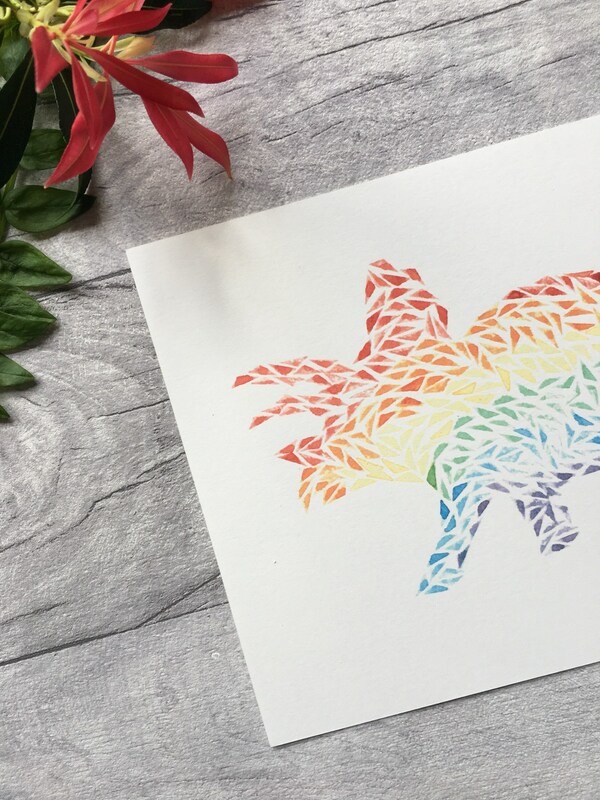 Brighten up your nursery decor or style your home with this amazing rainbow fella!